Chilean cherries arouse "China craze"
Feb. 11 (NBD) -- An article titled A 26-year-old with Monthly Salary of over 10,000 yuan (1,481.6 U.S. dollars) Cannot "Afford" to Buy Cherries went viral on the social media in China, making the fruit even more popular. It is noticed that the average price for one Jin (half kilogram) of Chilean cherries is about 63 yuan (9.3 U.S. dollars) on e-commerce platforms, which is far more expensive than that of prime apples. Despite the high price, counter-seasonal cherries remain as a popular choice for a treat or a new year gift during the Spring Festival holiday season. As of the end of January of 2019, more than 4 million kilograms of Chilean cherries have been sold on Chinese fresh e-commerce platform Miss Fresh, said the person in charge of the start-up to news outlet Yicai. NBD noticed that most of the imported cherries in China sold during the Spring Festival Holiday are from Chile as it is in the south hemisphere and the cherry harvest runs from November to February in the country. In late November of last year, the 2018-2019 Chilean cherry export season started and the Minister of Agriculture Antonio Walker watched the ships with loads of cherries heading for China on the ceremony. The Ministry of Agriculture said that cherry exports in this season are expected to grow by 17 percent and the farmers pinned high hopes on China's Spring Festival. "China craze" also becomes a buzzword on the financial media of Chile. Chilean cherries are exported to China with zero tariff. In as early as 2005, Chile became the first Latin America country that signed a free trade agreement with China. In 2017, the agreement was extended to cover over 97 percent of Chile's total exports to China, including all fresh fruits. According to Chilean Fruit Exporters Association's (ASOEX) Cherry Committee, the output and quality of cherries in 2018 have been greatly improved due to good weather and there are barely any defects. Besides the quality of the fruit, the success of Chilean cherries in China should be attributed to the intensive promotional campaigns in both first and lower-tier cities. NBD noticed that the ASOEX invested 5 million U.S. dollars in developing the Chinese market in the 2016-2017 season, which led to remarkable results. Because of this success, the advertising campaign is still ongoing. In addition, advertisements of Chilean cherries are ubiquitous on Sina Weibo, WeChat, e-commerce platforms, subways and in elevators. On January 11, the Chilean Cherry Committee of ASOEX used 24,638 individual cherries in a continuous line to form the figure of two large cherries in Shanghai, setting a new Guinness World Record. However, the price of cherries is likely to fall with the supply of cherries grows. It is noticed that international agricultural products exporters like Australia and Spain also want to take a slice of the market. In late January, the Cherry Committee in Spain said the commerce and trade departments were negotiating exporting standards with China and hopes their cherries come to China soon. Starting from the beginning of this year, China also exempts tariffs for most fresh fruits from Australia, including cherries. 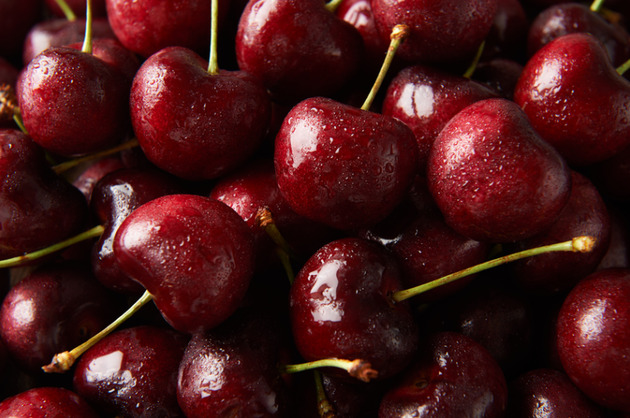 Karen Surmon, commissioner from Australian Trade and Investment Commission (Austrade) said cherries will be transported by air in order to keep freshness. Cherry Growers Association of the country also promised to increase output to meet the demand of China market. Less Chilean cherries will go to wholesalers, a report says. Industry insiders said that about 50 percent Chilean cherries will be distributed by wholesalers this year, falling from 70 percent from previous years, which will help reduce the price. It is expected that cherries will be more affordable for Chinese consumers in the near future.